The price listed is for four mesh wrapped clear beads. These measure approximately 23mm. 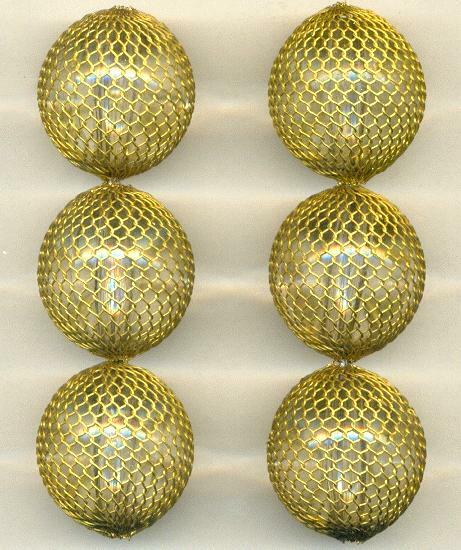 These are acrylic clear beads with a brass mesh. The holes of the beads measure about 2.36mm but sizing may slightly vary.